We’ve had a rainy winter in the SF Bay Area. This morning was the first time the sprinklers ran in months. It was also the first time they ran since I installed two wireless flow meters. I recalibrated the zone and all the other zones. All recorded as higher. Only one, 8.0 -> 8.1, was a very small change. I suppose the water pressure could be higher than when I first tested. I also suppose I could relax the alarm from 110% of flow to something higher. Are others seeing this behavior when calibrating? I can’t compare to when I calibrated in late December as I believe there was no continuous readout of flow in the app back then. Post a picture of your install. 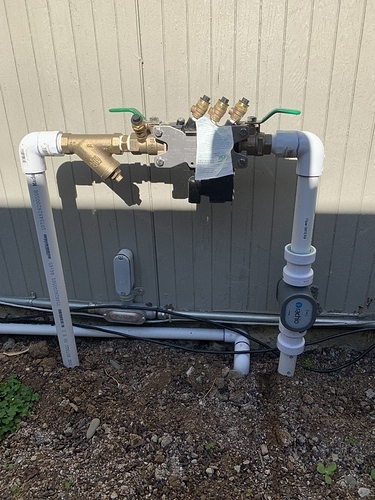 Here’s one of the two flow installs. It looks like the flow meter is transmitting on 900 MHz. I suppose something else could be regularly stepping on the signal. 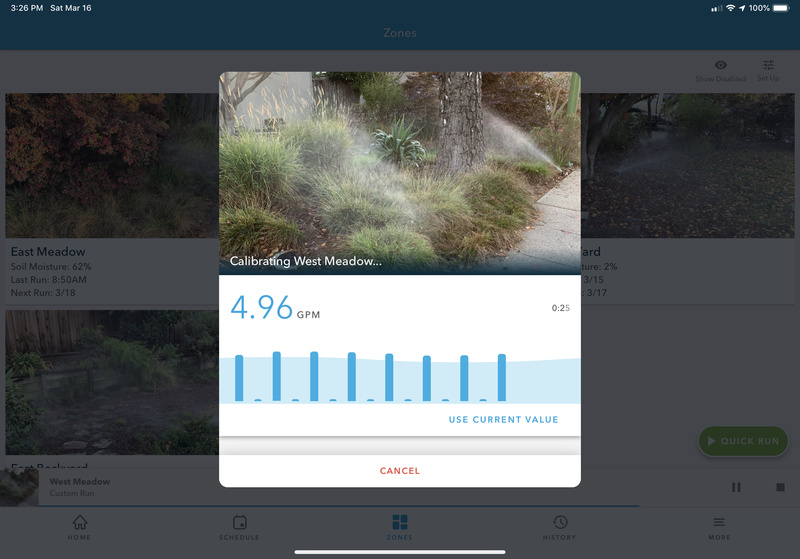 In the app, both flow meters show up as an excellent connection. Although your installation looks pretty good from what can be seen above ground, I think explaining the 2 main things that can cause a vortex meter to read inconsistently may help. This is a continuation of my comments in the “Flowmeter not working properly” thread. A vortex meter needs a full pipe and uniform flow. (A lot of times this is referred to as non-turbulent, but uniform or symmetric is a better description) In other words, the velocity of the fluid must be the same all across the pipe while inside the flowmeter. If you look at the drawing, this means that Va=Vb=Vc. The general rule for vortex meters is 10 diameters upstream and 5 diameters downstream to provide uniform flow inside the meter. Although it has been shown that having one 90 degree close to the outlet of the meter can usually be gotten away with, having more than one magnifies the problem even more. 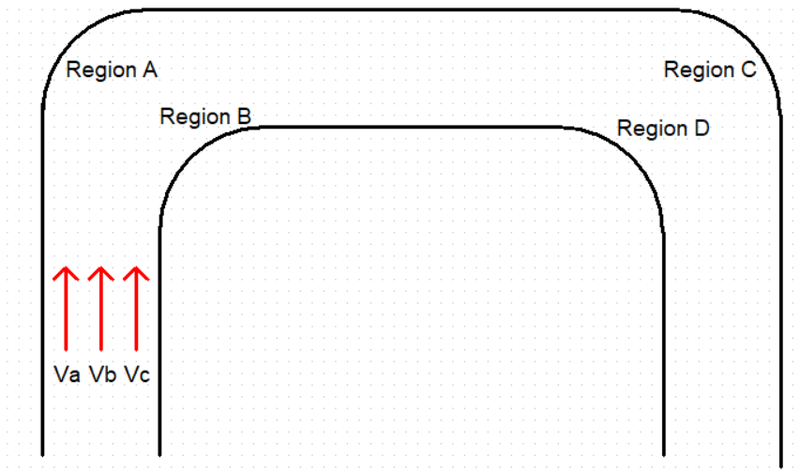 The problem is that Region A is a farther distance than Region B and this causes a variation of velocity. So, Va would not be the same as Vb or Vc. The presence of Region C and Region D too close adds an even greater difference in velocities. 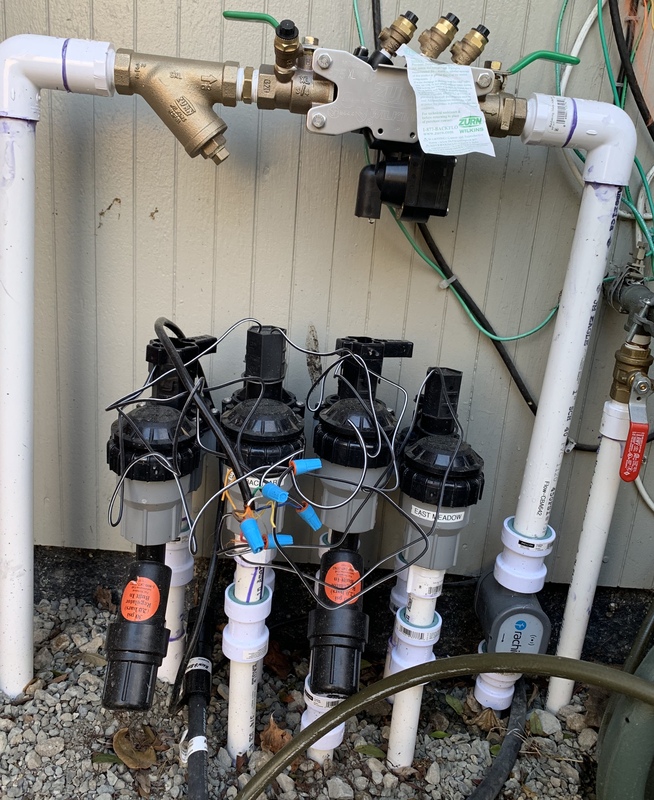 So, if you have bends close by underground or your pipe is not being kept full, this would mostly likely be the cause of inconsistent readings. The general rule for vortex meters is 10 diameters upstream and 5 diameters downstream to provide uniform flow inside the meter. Thanks. I’m easily meeting this requirement. Calibrating again today, the calculated flow is consistent, but I’m still seeing 0.0 for flow on every other reading during calibration. I just don’t know what to make of it. That is too digital in nature to be a problem with the meter’s ability to take readings. Looks like some kind of software/config issue that they will have to answer. Can’t help but wonder if the controller is trying to read data from both flow meters, thus showing the inactive one (zero flow) and the one you are calibrating. That’s quite plausible. I guess the Rachio guys will comment tomorrow (Monday). If it is showing alternating results, one for each meter, let’s just say the UI needs some work.